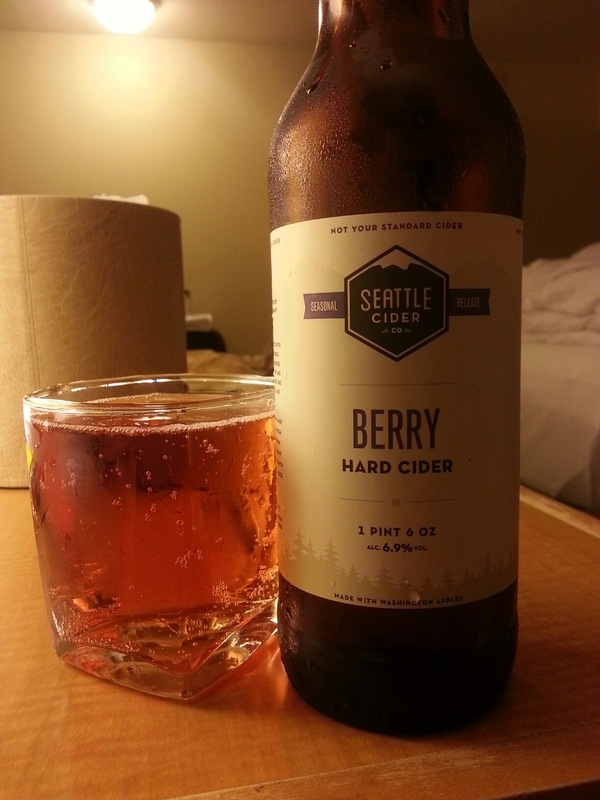 Berry Hard Cider – Seattle Cider Co. (Seattle, WA, USA) | Justintoxicated. Visual: Clear pink, no head, lots of fast clustered streams. Nose: apple juice mixed with light field berries. Finish: dry acidic tart, salivation-inducing finish. Summary: Super crisp and dry with fruitiness and sweetness taking a backseat. Decent structure but too light-bodied for my liking. Great review! I agree. it was quite lacking in flavor, which I think an increase in sweetness would have helped with. Making very lightly fruit flavored craft ciders seems to be a new trend lately. In my area (Seattle WA), I’ve seen this with Elemental, Jester & Judge, Locust, etc. 2 Towns is on the other side of the spectrum and makes very flavorful fruity ciders, but thankfully still not too sweet. Atlas is similar, but sweeter and more juice-like.